As well as these, who described themselves as Chair-makers, there were many other men who were described as carpenters, who may well have also made chairs. By 1841 only the elderly Thomas Chambers was still recorded as working as a Chair maker and the sons of some of the craftsmen listed above were pursuing jobs in neighbouring parishes such as Newton Ferrers, as carpenters and wheelwrights, not having followed their fathers' trade. The decline in chair making in Yealmpton in the middle of the 19th century seems to have occurred as a result of the growth of factory production of chairs in the neighbouring cities of Plymouth and Exeter, as well as Yealmpton itself, their products usurping those of the rural makers. 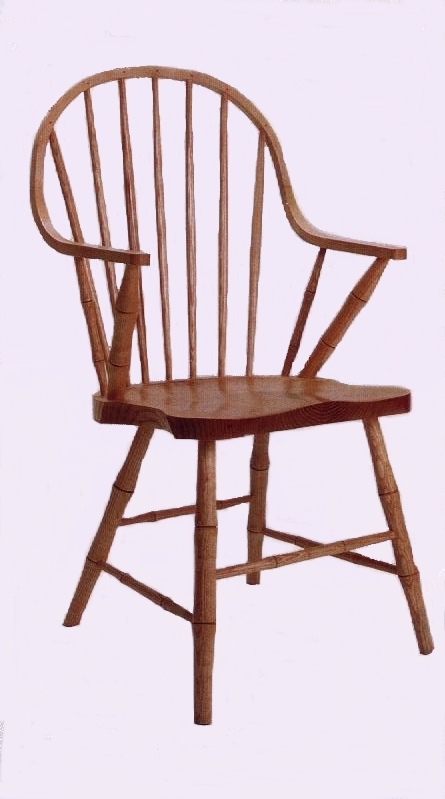 Production of the similar continuous arm Windsor chairs in the Eastern United States (New York, Rhode Island and Connecticut), having started at a similar time to that in the English Westcountry, had ceased in the first few years of the 19th Century, so the manufacture of such chairs at Yealmpton seems to have outlasted the US production. Many examples of Yealmpton chairs made in the early 19th Century, such as that illustrated on the left, still survive in old farmhouses around the village. 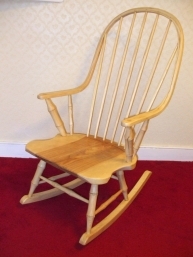 In recent years, production of Yealmpton chairs, made in the same style as the original ones, has resumed. Jeromy Rowett, a craftsman with over 30 years' experience of making furniture and musical instruments in London, Salisbury and Devon, is now making traditional Yealmpton chairs in the village again. 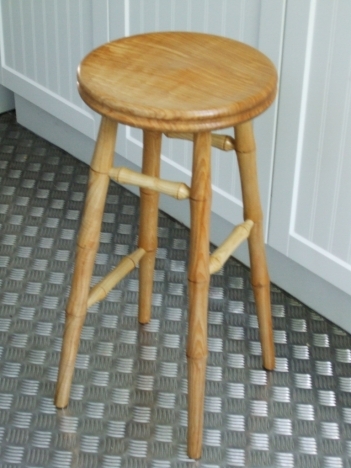 An example of one of the new chairs is seen on the right. For more information about these stylish chairs, follow the "Chairs and Complementary Furniture" link above.